It is almost time to head back to school y'all. 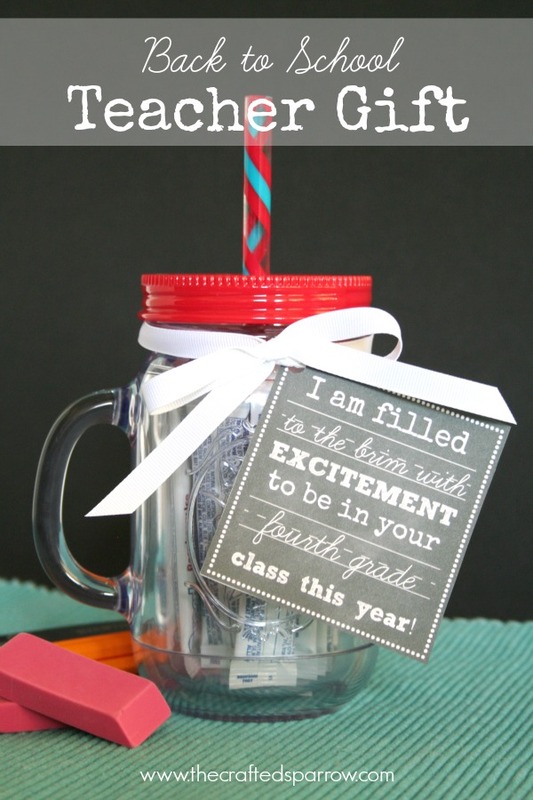 Grab a few supplies and make a fun back to school teacher gift. Rebecca with The Crafted Sparrow also has some fun printable tags for your gift as well. Click here to see more about this gift and print those chalkboard tags. Your teacher will love you for it!